5.0 颗星，最多 5 颗星Great book for kids! An interesting take on the subject. My son (age 10) understanded with little help. 5.0 颗星，最多 5 颗星Very impressed with this book, highly recommend to anyone interested in learning about CS. 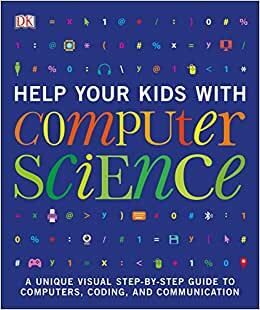 I have a computer background and program for a living, figured I'd get this to read with my daughter. I was really impressed on how complex topics (algorithmic thinking, data structures, etc...) were easily explained in concise paragraphs and illustrations. Great overview for ANYONE looking to get into CS.